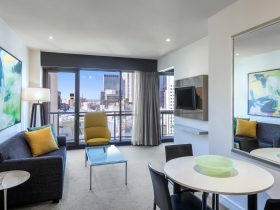 Rydges Melbourne is located in the heart of Melbourne’s vibrant theatre and entertainment district and is within walking distance to Melbourne’s best shopping boutiques and outlets. 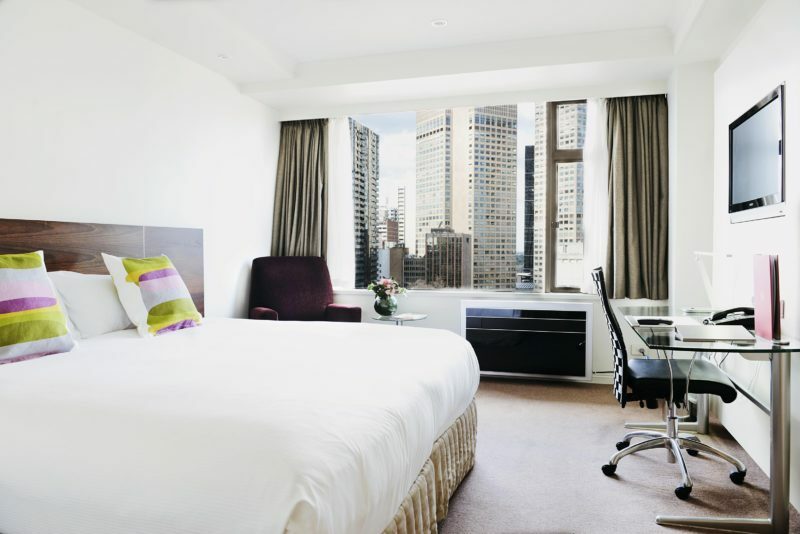 This hotel caters to both corporate and leisure travellers by combining stylish guest suites, fresh and efficient service and an unsurpassed central location. 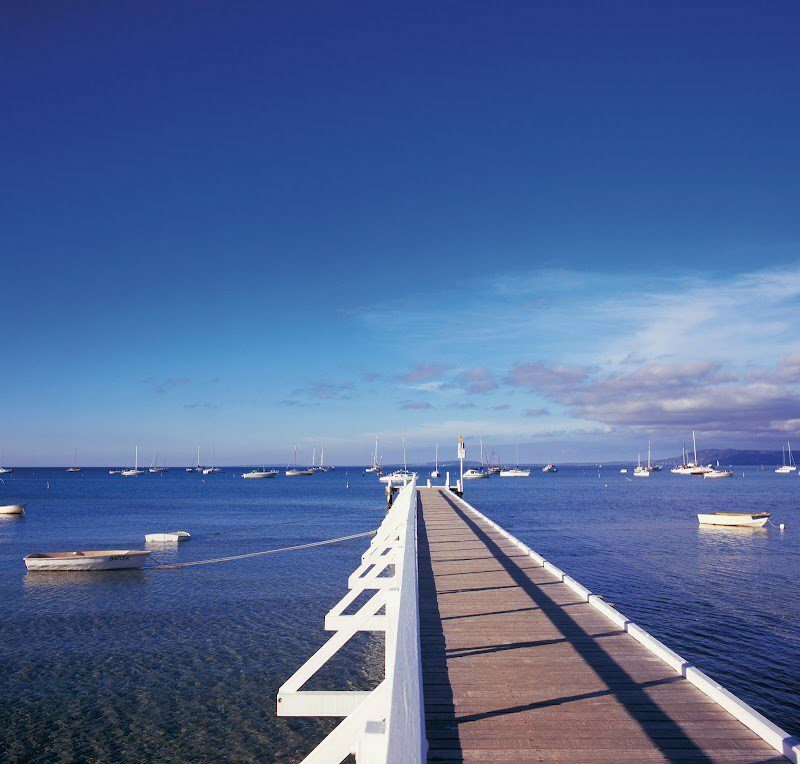 While staying at Rydges Melbourne, enjoy the portfolio of great attractions this city has to offer such as the Melbourne Cricket Ground, Fitzroy Gardens, Melbourne Park and the National Gallery of Victoria. 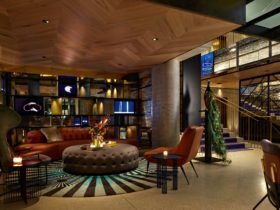 Facilities include Locanda Steakhouse, as well as heated outdoor rooftop pool. 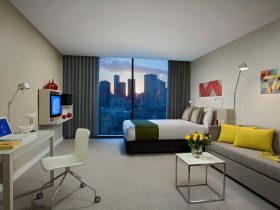 Rydges Melbourne is unrivalled in its status as Melbourne’s most entertaining hotel. 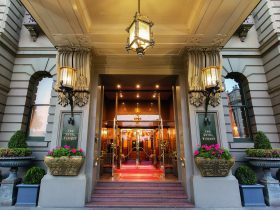 At Rydges Melbourne you will find their friendly relaxed charm is as much part of your stay as the professional, attentive service. Expect to find a difference. A fresh approach to service, value, fun and innovation. Please contact them for any further information. 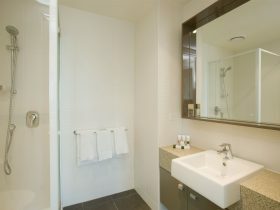 Light and spacious, the one bedroom apartment offers every comfort away from home. Elegantly furnished and awash in natural light, the one bedroom apartment features marble clad ensuite with large soaking tub and a fully equipped kitchenette plus a four seater dining table. 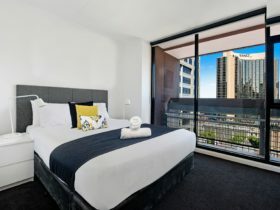 The bedroom is separated from the living area by a three-quarter wall and offers a king size Rydges Dreambed finished in crisp, white linen with an additional flat screen television. Also includes work desk with media hub, sofa bed on request and individually controlled air conditioners. The Queen Spa Suite includes a queen size Rydges DreamBed, marble ensuite featuring a single spa bath and separate shower, plus a walk in robe. The separate living area offers additional space to relax with abundant natural light. The queen spa Suite is equipped with an ergonomic workstation, high speed internet connection, two televisions and bath robes . 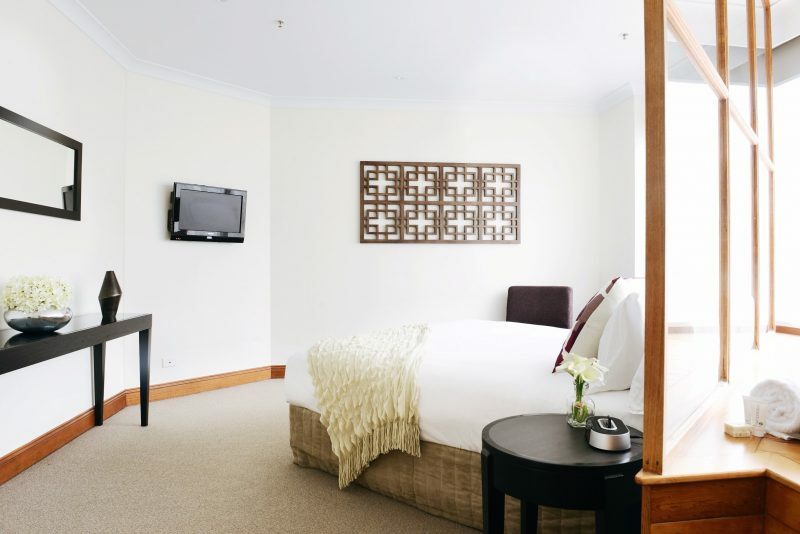 The generously sized Executive King Room features a king size Rydges DreamBed, living area, flat screen television and ergonomic workstation featuring media hub with high speed internet connection. Deluxe Rooms are designed with a distinct cosmopolitan style, featuring one queen bed or two single beds, flat screen television. 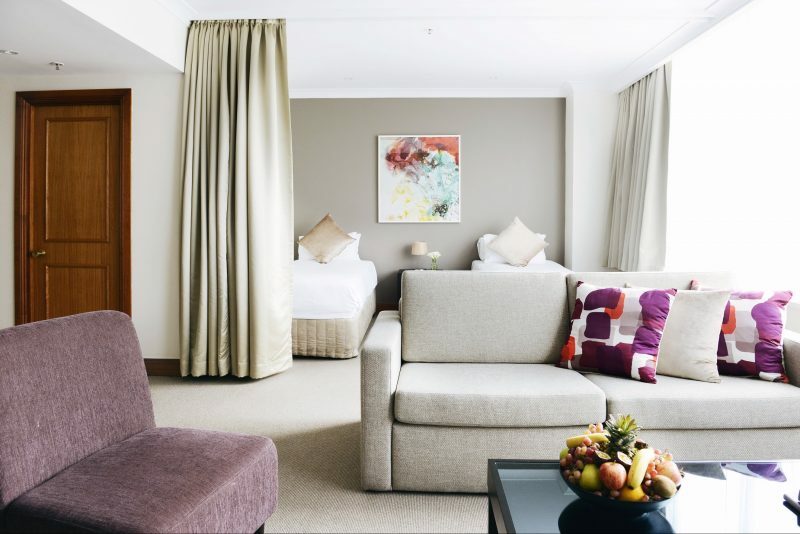 Enjoy the added space of the King Spa Suite, including king size Rydges DreamBed, generous marble ensuite featuring double spa bath, separate lounge and dining plus walk in robe.